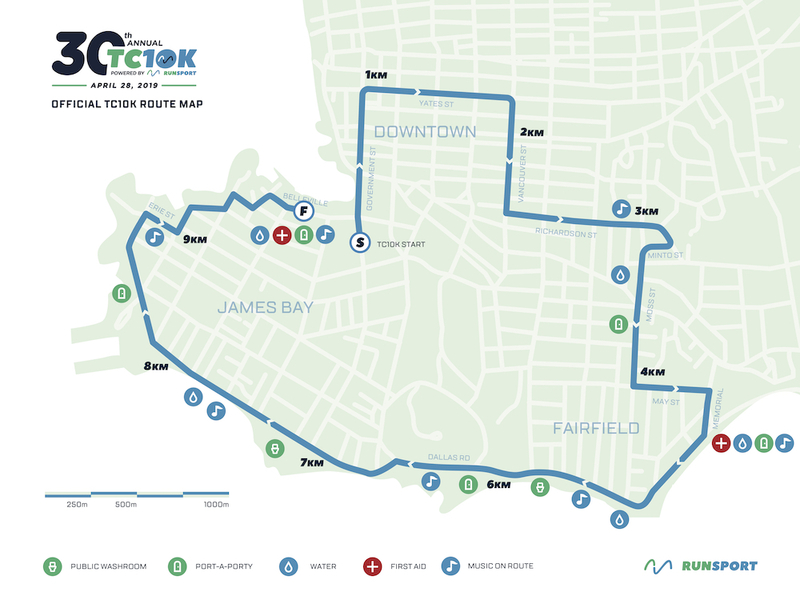 Register today to join over 9,000 runners, walkers, wheelers and teams on Sunday April 28, 2019 for Victoria's most spectacular, scenic, community event. We look forward to seeing you at the start line. Don't forget to follow us on Twitter and Facebook as there will be a number of fun and exciting prizes to be won throughout the year! 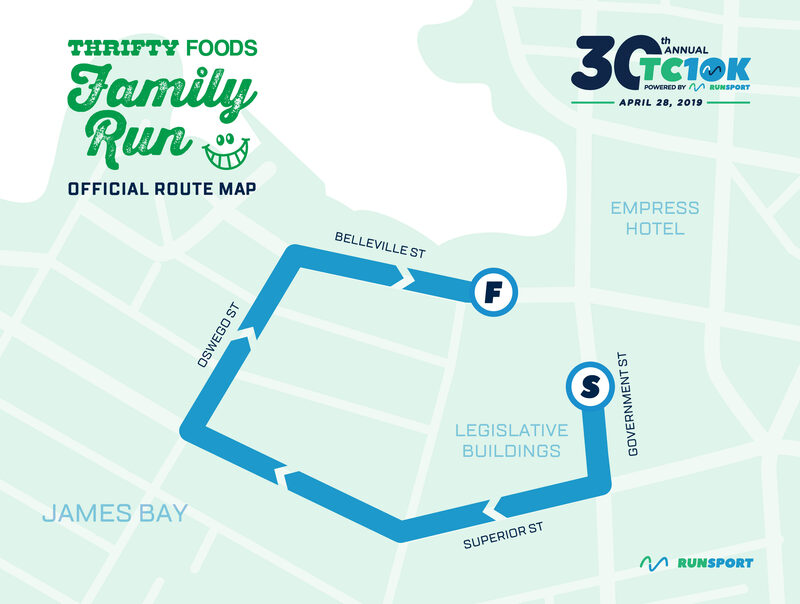 The TC10K & Thrifty Foods Family Run is powered by RunSport Victoria, a not-for-profit, volunteer-run organization committed to providing opportunities to compete at various levels. We are grateful to the community, participants, volunteers, spectators and sponsors that support this event. *Please note that as this event is supported and sanctioned with BC Athletics, we cannot support the use of handcycles in this event. Transfers permitted, $5 fee applicable. Transfers MUST be completed by April 5th @11:59am.